This book will open your understanding and build your faith to His plan for your life to unfold, bringing your heart the most powerful thing you can possess...faith to change the world and confidence that you can. - Publisher There is a familiar sound among the nations. It is the frustrated, passionate people longing for substance, for real meaning to their lives. The Christ of the New Testament offered fulfilment, meaning and passion beyond what any human institution could ever offer. Even though the ensuing centuries saw this kind of vibrant faith and fellowship with God diminish in the midst of pomp and ceremony, lists of rules, infighting, self aggrandisement and political correctness gone mad. Increasing impotence rendered the Church pale, stale and too frail to make any difference to the world. Nonetheless, the purpose and desire of God for friendship with humanity has not changed. God has no plan B. This book will open your understanding and build you faith to His plan for your life to unfold,, bringing to your heart the most power thin you can possess...faith to change the world and confi-dence that to you can. There is a familiar sound among the nations. It is the frustrated, passionate people longing for substance, for real meaning to their lives. The Christ of the New Testament offered fulfilment, meaning and passion beyond what any human institution could ever offer. Even though the ensuing centuries saw this kind of vibrant faith and fellowship with God diminish in the midst of pomp and ceremony, lists of rules, infighting, self aggrandisement and political correctness gone mad. Increasing impotence rendered the Church pale, stale and too frail to make any difference to the world. Nonetheless, the purpose and desire of God for friendship with humanity has not changed. God has no plan B. 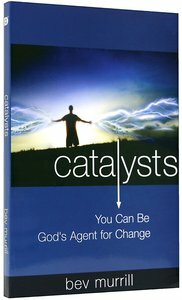 This book will open your understanding and build you faith to His plan for your life to unfold,, bringing to your heart the most power thin you can possess...faith to change the world and confi-dence that to you can. A completely new look at the Christian walk, effectiveness of the church, and our relationship with God. I am ordering more to take our leaders through it, and i have only read the introduction! Highly reccomend this to all desiring to see His Kingdom come, His Will be done, through us!